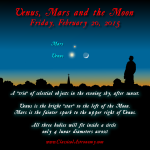 Every single month, the Moon aligns itself with each of the visible planets as it swings through its orbit. 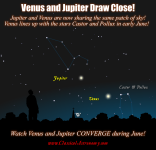 More rarely, the planets themselves line up with other planets. 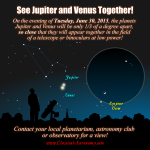 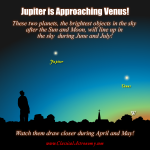 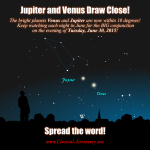 Such “conjunctions” of the planets are always a beautiful sight!